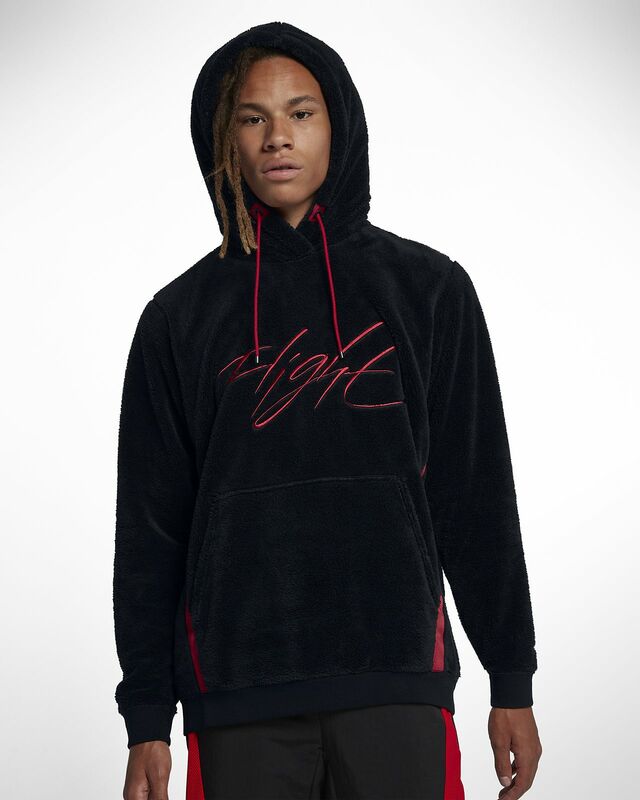 Stand out and stay warm in the Jordan Sportswear Wings of Flight Men's Sherpa Pullover Hoodie. An iconic design throws it back to 1989 and the original Air Jordan 4 collection, while soft sherpa fleece helps keep you warm when the weather drops. WARM COMFORT ON AND OFF THE COURT. 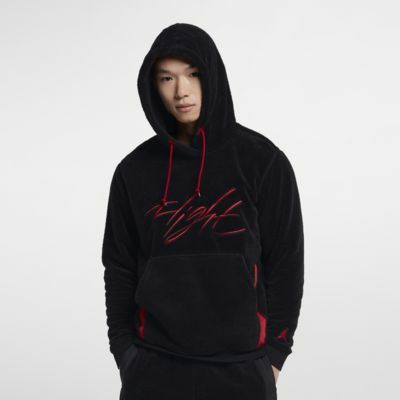 Stand out and stay warm in the Jordan Sportswear Wings of Flight Men&apos;s Sherpa Pullover Hoodie. An iconic design throws it back to 1989 and the original Air Jordan 4 collection, while soft sherpa fleece helps keep you warm when the weather drops. Sherpa fleece has a soft, warm feel. A throwback design is inspired by the original AJ 4 Jacket. A kangaroo pocket gives you easy storage and hand warming.